Hemlock Grove, the Netflix exclusive horror series, is getting a third season! This is exciting news for fans, particularly since the show has not garnered the same amount of attention seen by other Netflix exclusives like Orange is the New Black and House of Cards. The sad news is that the show will be wrapping up. In case you haven’t seen the show, here’s the trailer for season 1. What do you think? If you’re a fan, will you miss Hemlock Grove, or are you just excited to see the third season? 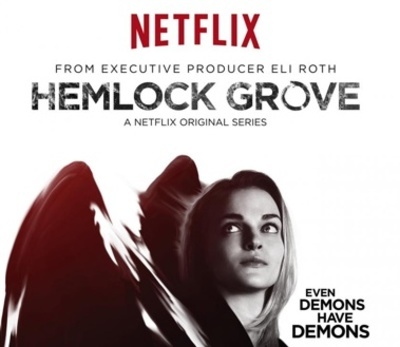 I think Hemlock Grove looks interesting, I haven't watched it yet because I get get my wife into it, but hopefully she'll come around. Since I haven't seen it, I'm not at all upset about the show ending. At the same time, I know it's opening the door to for the Daredevil show Netflix is working on, so I guess for me it's a case of lose none, gain some.